The TI-30Xa is a basic scientific calculator manufactured by the Dallas-based technology company Texas Instruments. Although it has been replaced by more advanced technology since its introduction in the late 1990s, it's great for children to use in school or for math homework. It can be useful for getting to grips with the fundamentals of algebra and trigonometry, and the basics of using the calculator are easy to learn. Turn the unit on, using the "On/c" button. 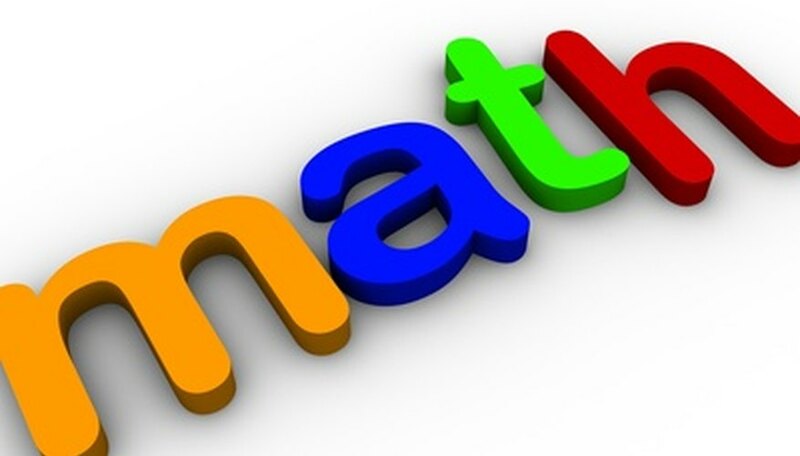 Use the "+", "-", "X" and the division symbols to perform basic arithmetic. Type in "2 X 2" and then hit the "=" key to display the answer of "4" for example. You can also use the "()" keys to enter parenthetical expressions to basic sums. Press the "On/c" button to clear the calculator. Enter a figure and then hit the "X" key followed by another figure and then the "2nd" key to work out a percentage. This sum will multiply the first figure by the second to two decimal points. Entering "200 X 5 "2nd" and then "=" would give you 5 percent of 200, or 10, for example. Press the "On/c" key to clear. Enter a number and then hit the "DRG" key to change the angle-unit setting between radians, degrees and gradients without affecting the value displayed. Press "STO" followed by the "n" key to to store a value to the calculator's memory. To recall the value later, press "RCL" followed by "n." The calculator has three memory settings, and can store a number in each. To clear the memory, press "0" then "STO" followed by "1," "2," or "3" depending on which memory you wish to clear. Press "2nd" and then either "SCI" for scientific, "ENG" for engineering, "FLO" for floating-decimal of "FIX" for fixed decimal to switch between notation value. Press the "APD" button to enter automatic power down or the "OFF" key to shut down. The "APD" will set the calculator to turn off automatically when no key has been pressed for five minutes. Roennevig, Michael. "How to Use the Ti-30Xa Texas Instruments Calculator." 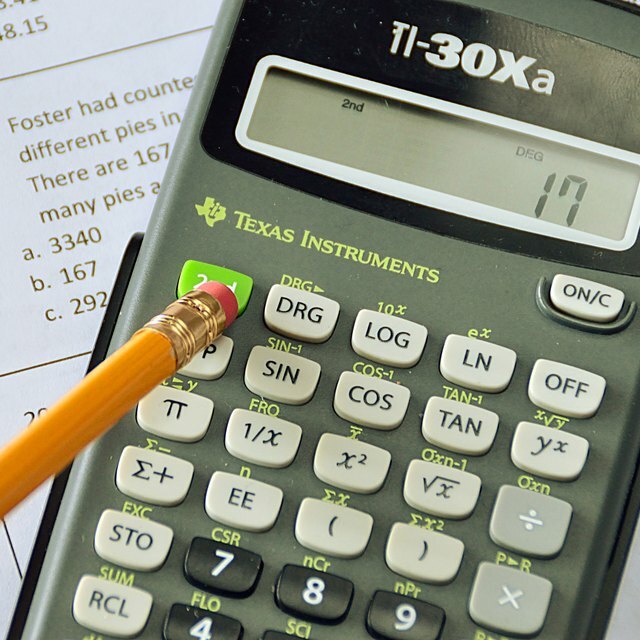 Sciencing, https://sciencing.com/use-ti30xa-texas-instruments-calculator-7713171.html. 24 April 2017.